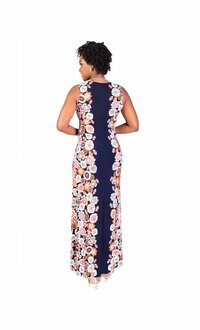 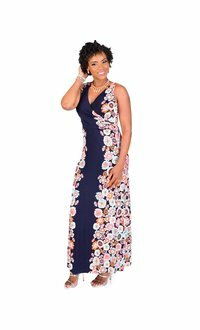 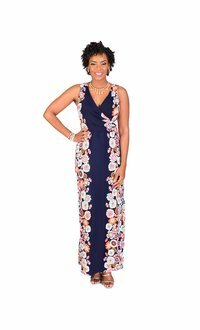 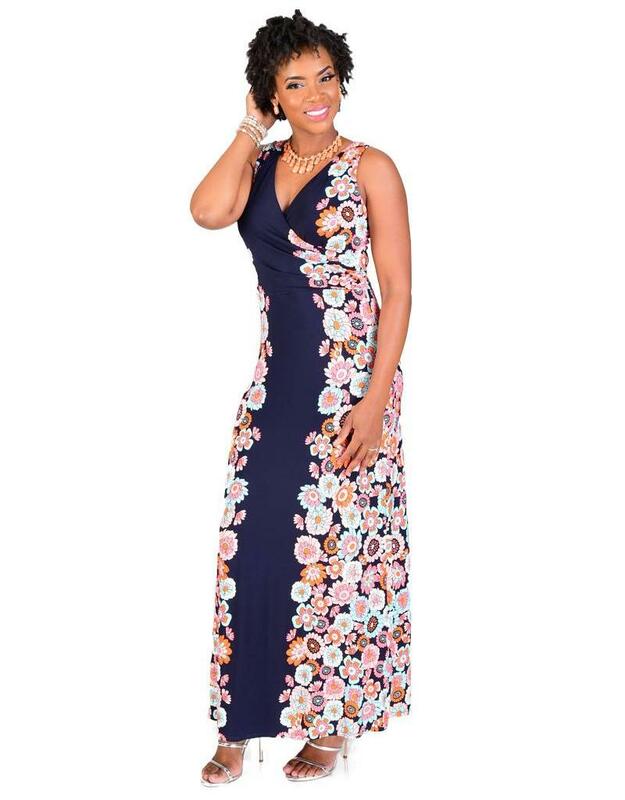 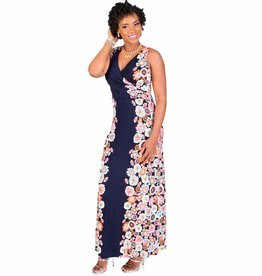 Chic and daytime ready, this full length printed maxi dress is just what you need for your next semi-formal event. 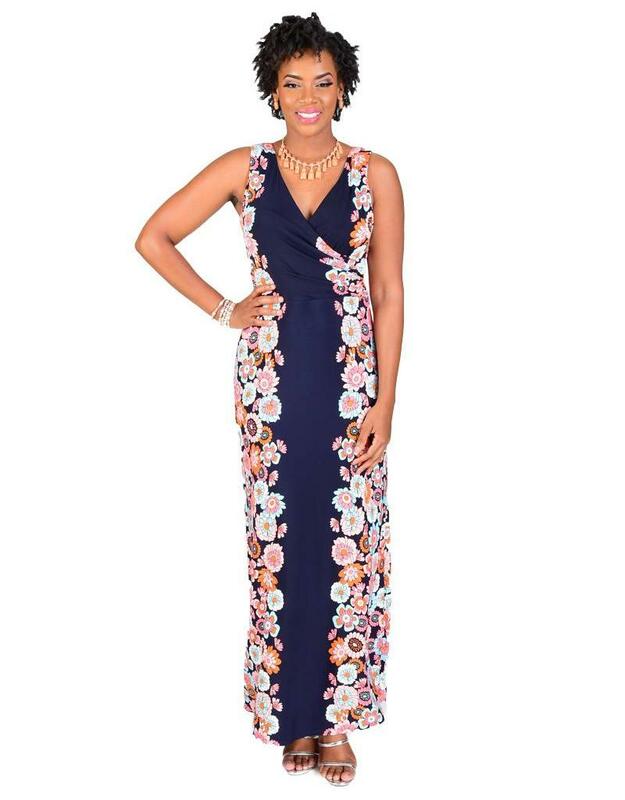 The dress features a v-neckline, broad strap, an empire waist that flows seamlessly into a full-length sheath skirt. 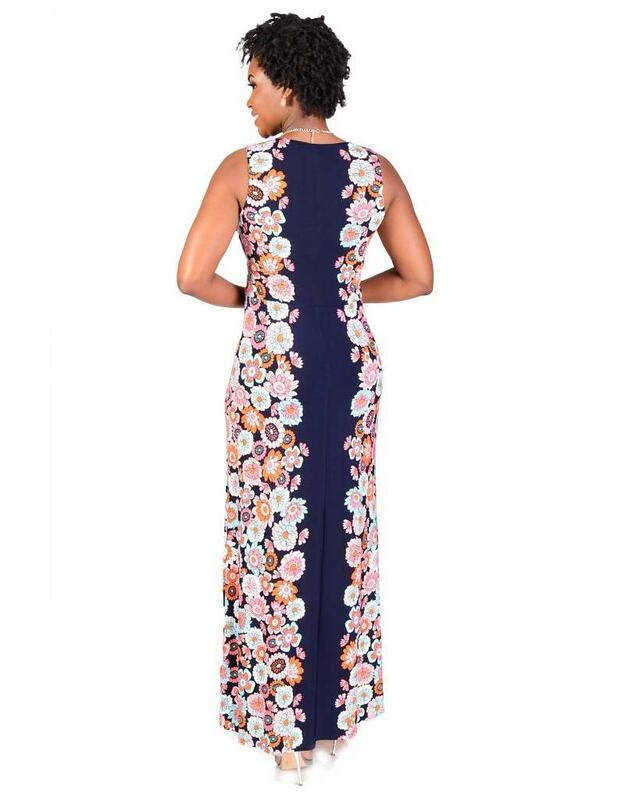 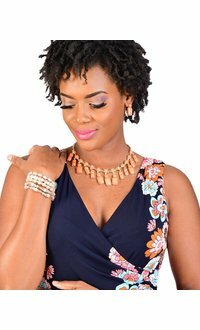 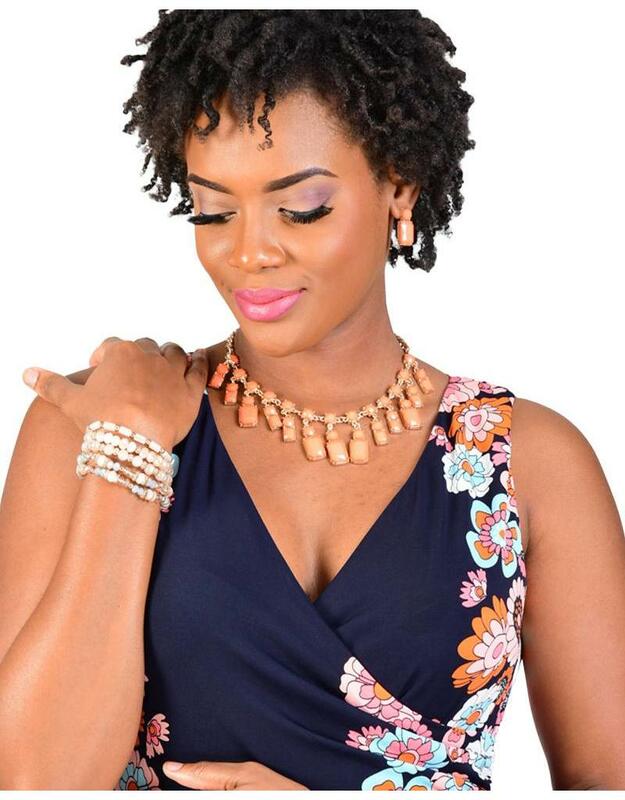 Pair this dress with a fascinator and necklace set for your next garden wedding.